Telekom S-League side Henderson Eels narrowly edged their way past the group stages of the 2019 OFC Champions League in their debut season. And now the biggest test yet awaits, a quarter-final clash away to defending champions Team Wellington. Head coach Eddie Marahare admits its going to be tough, but he is confident his young side has done enough during their preparations to give the champions a good match. Henderson Eels left Honiara yesterday afternoon for New Zealand with 18 players and three officials. The match is scheduled for this Sunday at the David Farrington Park in Wellington. “I know it’s going to be tough, but for the last four weeks, we have prepared well to face the defending champions,” Marahare said. The team also experienced a slight hiccup to their preparation with the issue of stolen passports, but the coach is happy everything has been sorted in time before their departure. “Playing away, and especially when they (Team Wellington) are the defending champions, of course it’s going to be hard,” Marahare added. Fittingly, Henderson Eels has put in extra efforts during training sessions on their defence. “One area we have worked really hard on is our defence. I’m pretty sure, if not confident we’re going to put up a strong challenge again our hosts,” the coach said. One noticeable dimness is the height of his players and it was obvious during their first group match 3-2 defeat, when all three goals they conceded against the Tahitian side came from aerial balls from set pieces. Coach Marahare is well aware of this and for this quarter-final he’s urging his players to shut down those crosses before they come in. “We conceded a lot from aerial set pieces into the area, that is true and that’s why we have worked hard on defence, if we can shut down early so the opponents cannot put in those aerial balls. “It going to be tough, but like I said, we are prepared to take on the challenge,” he said. 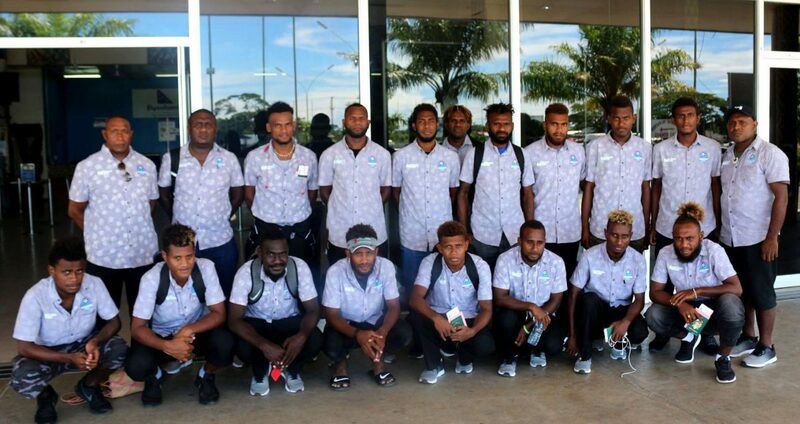 Henderson Eels are the only Solomon Islands reps still left in this season’s OFC Champions League, after the unexpected exit of Telekom S-League champions Solomon Warriors in the group stages at Lawson Tama. Elsewhere in the other quarter-final matches, Toti FC of PNG will take on Micah Lea’alafa’s Auckland City also in New Zealand, Hienghene of New Caledonia meets Ba FC of Fiji and Central Sport of Tahiti takes on AS Magenta of New Caledonia.